1) The Kits utilizing the 32/36 Progressives Weber are designed to provide the market with an economical performance carburetor conversion that while increasing Hp also improves drivability and fuel economy over the stock carburetor. The kits using the 32/36 progressive carburetor is the optimum carburetor for use as a replacement carburetor for a worn out or hard to maintain factory carb. 2) When purchased in kit form, the REDLINE kit with the 38mm DGAS carb will perform on a stock unmodified engine without any problems. This is not going to be an over carburetion situation. It will provide considerably more initial torque and acceleration but the top end performance will not be significantly improved over the 32/36 when used on a stock motor. 3) The 38mm DGAS carb should be the only consideration if the engine is in the future or currently going to have any level of additional engine modification. Such as headers, free flowing exhaust, a cam, or rebuilt engine. Usually these motors will be improved over stock with oversize pistons and towing cam. The 38 will enhance the improvements of any of these items. The 6 cylinder engine applications are particularly enhanced by this application. In-fact on ALL JEEP and LAND CRUSER applications with any upgrades this is a mandatory choice. Other wise the progressive will require extensive re-calibration to work properly. 4) When using a 32/36 in the above situations will require additional calibration and rejetting to attain the desired performance and standard fuel economy. There is a jet kit available for just this reason. The jetting is required due to the performance enhancements of the additional modifications. Although the 32/36 does out perform the original, to receive the full benefit of your investment the 32/36 will require helpful re-calibration. The 38 DGAS is the optimum choice and has a larger fuel delivery system and the calibration to handle the broader range of improved performance and improves substantially your other product investments. 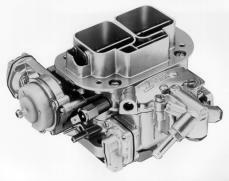 5) While the 32/36 progressive carb will improve your fuel economy on a stock motor over the OEM carb. The 38 Synchronous carb will not get less fuel economy than the OEM carb. The 32/36 DGV progressive carburetor as used in any REDLINE kit is pre-calibrated and set to run on most normal standard and stock engines and provide a performance and fuel economy improvement. If that engine has been upgraded or improved with other performance items there will be a need to recalibrate or rejet the carburetor in some situations. There is a performance jet kit just for the Jeep applications Pt No. 701-DGV. 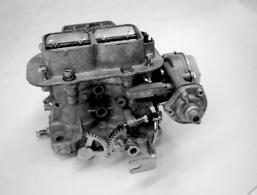 The 38 DGAS synchronous carburetor when supplied in kit form from REDLINE is also pre-calibrated for use on stock or slightly modified motors and will not be over carbureted. It also provides the best starting point for engines that are ultimately going to be upgraded with additional performance Items with performance over fuel economy being the ultimate goal.